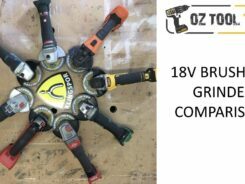 oztooltalk review our first ever oil impulse driver, the AEG Stealth Drive, BSS18OP. This brushless, 3-speed, 18V driver is super quiet compared to regular impact drivers, and shockingly powerful. This product is known in the US as the Ridgid Stealth Force.